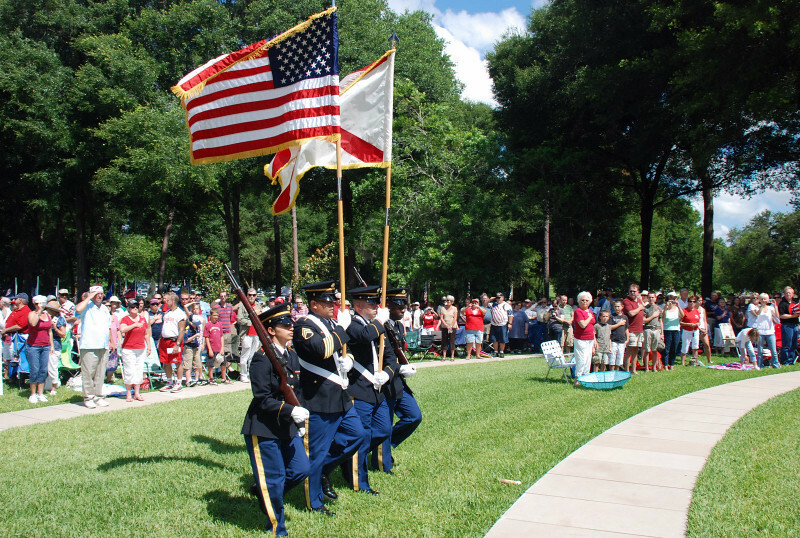 Memorial Day ceremony held at Florida National Cemetery in Bushnell, FL. Thousands came out to show respect and honor the fallen. Members of the Florida National Guard post the Colors.